In this paper we present the study of a skull belonging to a young male from the Italian Bronze Age showing three perimortem injuries on the frontal and parietal bones; the peculiarity of the frontal injury is represented by its singular shape, which may be indicative of the weapon that caused the lesion. 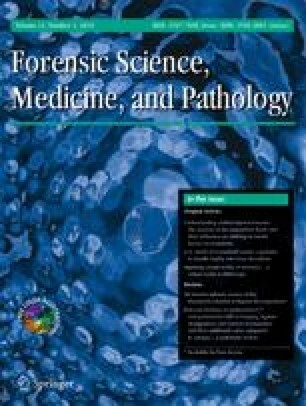 The aim of the present study is to examine the traumatic evidence in relation to possible etiological factors, in order to attempt to establish if the lesion occurred peri or post-mortem, and to evaluate if these traumatic injuries could be interpreted as an evidence of interpersonal violence, by combining anthropological, taphonomic and ESEM investigations. The combination of multidisciplinary methods of study can provide important new insights into inter-personal violence. The authors acknowledge Rita Bovolenta, Valentina Russo and Simonetta Zonari for technical support. Thanks also to Vanessa Manzon and Letizia Fazzari for collaboration in preliminary studies.